Welcome to linuxblog.darkduck.com. The information published on this site is available under Creative Commons Legal Code licence, which you can read in full here. 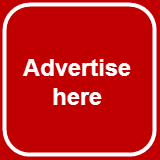 These are our terms and conditions for use of the website, which you may access in several ways, including but not limited to the World Wide Web, PDA, mobile phone and RSS feeds. These terms and conditions apply whenever you access the website, on whatever device. 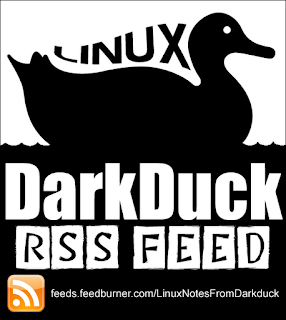 In these terms and conditions, when we say linuxblog.darkduck.com, we mean this website. By using the linuxblog.darkduck.com website, you are deemed to have accepted these conditions. You can access other sites via links from linuxblog.darkduck.com. These sites are not under our control and we are not responsible in any way for any of their contents. We give no warranties of any kind concerning linuxblog.darkduck.com or the material. In particular, we do not warrant that linuxblog.darkduck.com or any of its contents is virus free. You must take your own precautions in this respect as we accept no responsibility for any infection by virus or other contamination or by anything which has destructive properties. You will see advertising material submitted by third parties on linuxblog.darkduck.com. Individual advertisers are solely responsible for the content of advertising material which they submit to us, including ensuring that it complies with relevant legislation. We accept no responsibility for the content of advertising material, including, without limitation, any error, omission or inaccuracy therein. If you would like to advertise on linuxblog.darkduck.com, please contact us. Some of the links on linuxblog.darkduck.com are affiliated and publisher gets rewarded if you make a purchase of stock or services through these links. Visitors to linuxblog.darkduck.com may submit material for publication in various areas of the site. We accept no liability in respect of any material submitted by users and published by us and we are not responsible for its content and accuracy. Thank you for visiting linuxblog.darkduck.com. We appreciate the opportunity to interact with you on the Internet and are committed to protecting and safeguarding your privacy. The purpose of this Privacy Statement is to inform you about the information we may collect when you visit our website, how we may use that information and whether we disclose that information to anyone. In general, you can visit linuxblog.darkduck.com without telling us who you are or revealing any personal identifiable information. linuxblog.darkduck.com will not sell, trade, rent, or otherwise retransmit any identifiable information we collect online unless we have your permission. Links to third-party websites are provided solely for your information and convenience, or to provide additional information for various goods and services. If you use these links, you will leave linuxblog.darkduck.com and this Privacy Statement will not cover the information practices of those websites. We suggest that you carefully review the privacy policies of each website you visit. By using linuxblog.darkduck.com you acknowledge acceptance of this Privacy Statement in effect at the time of use.